Efficiently train algorithms, enhance user experience, and save internal time and resources by using a trained human workforce to categorize data at scale. OneSpace’s virtual workspace and prequalified network of on-demand freelancers help you complete high-volume data categorization projects with unprecedented speed and quality. OneSpace is an all-in-one workflow automation platform with a built-in network of expert freelancers. Every subscription comes with a robust suite of features designed to help you categorize a wide range of data at scale. Get on-demand access to OneSpace Direct, our elite network of freelance categorization specialists. Ensure deliverables are accurate and complete using built-in quality control and performance management features. Scale output and optimize efficiency with our point-and-click workflow automation and API integration tools. With OneSpace, you can manage all of your data categorization initiatives in one central place. Companies such as Adgooroo and Instacart have used our platform to categorize a wide variety of data at scale, from businesses and products to content and images. 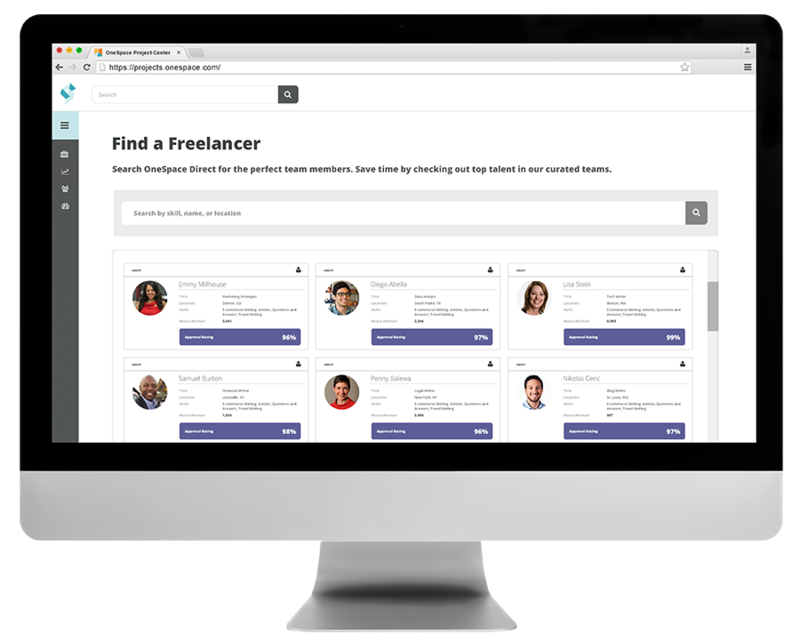 Access the best available talent in seconds using our hand-curated teams of freelance experts. These categorization specialists are heavily vetted and have experience doing work for companies such as Adgooroo and Hipcamp. "Thanks to OneSpace, we’re able to collect product attributes faster than we ever thought possible. The turnaround time is amazing, and the quality is unmatched – it went above and beyond my expectations."